The Children's Place is a leading retailer for kids clothing and accessories. Enjoy from wide selections of quality clothing for boys, girls and toddler at great prices! 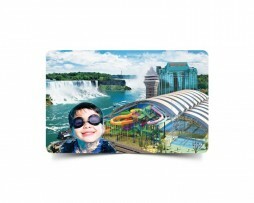 Find great deals and discounts on the Children's Place Gift Card at Muskbird.com. Enjoy a complementary free custom printed greeting card option to include with your order. So upload your favorite photo, add a word or two, and express yourself to your gift recipient! *CHILDREN’S PLACE Gift Card, Logos, Slogans And Related Marks Are The Property Of The Children's Place. Add the desired items and quantities to your cart. 2. To Redeem in store - Visit any of The Children's Place stores in Canada and redeem upon purchase of the merchandise. Not redeemable for cash unless required by law and cannot be replaced if lost, stolen or used without your permission. You can check the gift card balance by visiting any of The Children's Place store in Canada or calling their customer service number at 1-800-501-3232. The Children's place gift cards can be redeemable for purchase of merchandise at any THE CHILDREN'S PLACE sotre or outlet, or online at childrensplace.com. Redeemable in Canada only. Not redeemable for cash unless required by law. Return of merchandise purchased with this card is subject to store return policy.